Slaters are a family run business with 40 years’ experience. 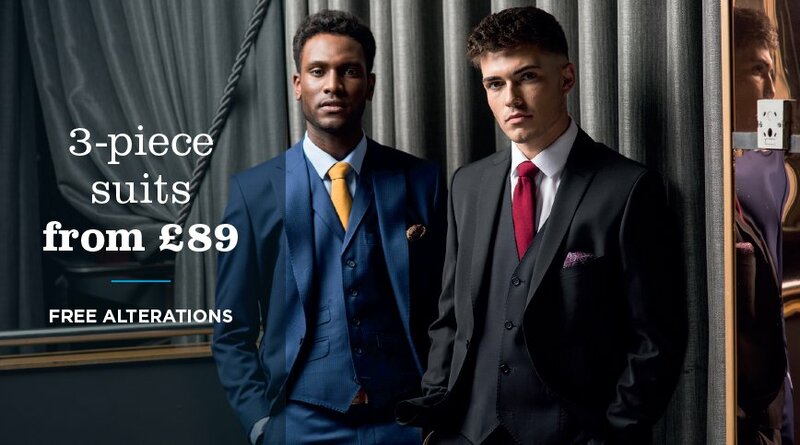 With tailored suits starting from £49, as well as suit packages including shirt, tie and shoes for only £79 they are your first port of call for formal wear or hire. Each store hires a team of tailors and seamstresses offering FREE alterations to all customers. Slaters are renowned for its excellent customer service, value for money and fantastic choice in formal and casual menswear.